Paulownia propagation from seed or cloning, what are the differences? 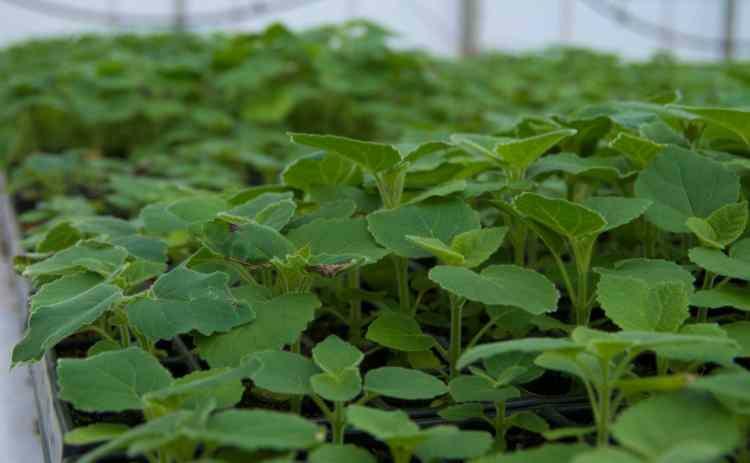 For the propagation of plants, other than sowing of seeds, there are basically few other methods, which are also suitable for the propagation of Paulownias. Each of these methods has advantages and disadvantages, which are discussed below. This term refers to the multiplication means of sexual reproductive organs of plants, the seeds. This classic method allows Paulownia due to its rich seeds mast the production of many offspring from a single mother plant. The greatest disadvantage lies in the fact that in our latitudes first flowering occurs earliest after four, often only five years and the full fructification usually occurs even later. By generative propagating the genome of the female and male plant is introduced in equal parts and recombined. Each seed thus has an absolutely unique genome, but which is handed down certain characteristics continuously, an effect of which renders the targeted breeding of plants. The strong genetic diversity has an inhomogeneity of the progeny as another result, which, should not be seen as a disadvantage. Through these natural fluctuations in site quality is leveled and a certain minimum efficiency of the crop ensured. Pests, especially parasitic fungi are genetically highly specialized in the rule so that a high genetic variance in a plantation is a form of insurance against epidemics of harmful diseases. In addition to the genetic information only the cell organelles of the mother plant is passed on to the seed and otherwise, similar to babies, are an independent organism. This makes the risk of inheritance of latent diseases minimal, such as viral diseases and serves as additional health and performance safeguards for the descendants. These include at least two different methods, which have in common that the offsprings are genetically identical to the parent plant. They are called "clones". This term may be familiar to many in connection with the genetics and appear highly technical and unnatural, but this is not the case. Many plants reproduce primarily or exclusively in this way. In the kingdom of fungi it is even more widespread. The most obvious example here is probably the potato, although it can produce flowers and seeds, their proliferation is almost exclusively done by their tubers which are vegetatively formed. A potato field thus consists of innumerable plants with the same genome! This allows the transfer of defined hereditary properties of a selected parent plant. All derivatives are therefore largely identical to the mother plant and form homogeneous populations. By vegetative reproduction not only the positive characteristics are inherited, negative effects can be carried as well, particularly those that have been overlooked in the selection of the parent plant. In the worst case, it may relate to factors that can be seen only at the harvest of the tree. A special risk lies in the site suitability of the plant, which is hereditary. If a plant which has provided at location A bests propagated vegetatively, its clones may often provide only low performance on spot B because they are genetically suited for A but not adjusted for B. Because of vegetative propagation, whether from root cuttings or in vitro, the tissues of the mother plant always provide the original material, thus transporting diseases inevitably. This risk can be minimized by the use of controlled healthy starting material. This method encounters the its limits when it comes to viruses. The reason for this is that material can be latently infected with one or more viruses without causing discernible disease symptoms. Here alone molecular diagnostic methods can help. These in turn are usually only able to track such viruses that are known and for which there are specific recognition sequences in the genome. Especially with the propagation by root cuttings, these effects appear. The reduction observed here in growth performance and health for multiplication generations is often being connected to the age and number of generations, which is only indirectly correct. Because by age alone is not responsible for this decomposition, but by the accumulation of such hidden diseases with each propagation step over time. Both ways of plant propagation have advantages and disadvantages. By generative seed production can a big amount of trees be produced quickly, using genetically inhomogeneous and healthy offspring. By the genetic variance, the risk of major harmful events is minimized in the future. But the maximum power of the genetics is not being exploited. Vegetative plants are highly homogeneous with each other and exploit the potential of the site optimally with accurate readout of the mother plant. However, errors in the selection can later possess fatal impact because as the risk by catastrophic harmful events is increased. In addition, the spread of diseases, especially viral diseases is favored by vegetative propagation, resulting in degradation phenomena with increasing generation number. Paulownia propagation from seed or cloning. What are the differences? ..